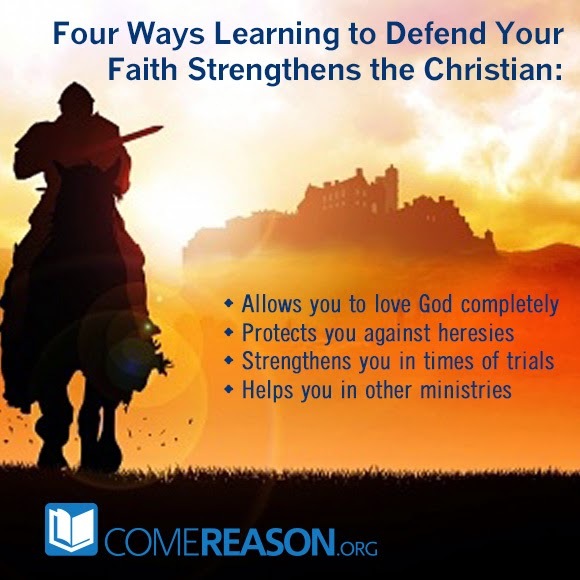 Most apologists are well aware of the command in 1 Peter 3:15 to "always be prepared to give a defense to those who ask for the hope that is within you." 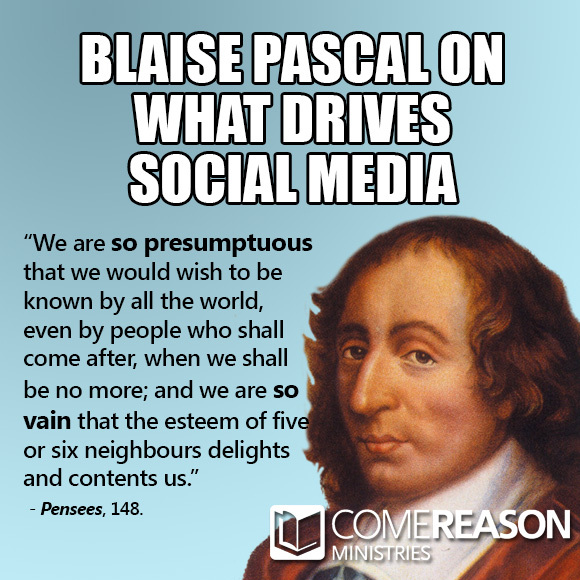 In fact, they will point to it as an example of God commanding Christians to engage with an unbelieving world. Yet, I've seen Christians think that in order to be faithful to 1 Peter 3:15, we must field every objections thrown at us, regardless of what it is. But there are some objections that are themselves unreasonable, and part of offering a defense is calling out the objector who offers frivolous complaints. What a pile of drivel. So this god isnt to blame for all the deaths from quakes because they are necessary to stop the earth becoming desolate lol. So this omnipotent god couldnt make a planet without plate tectonics? The only reason we need a magnetic fields protection is because this god is slinging cosmic rays everywhere. If this omnipotent god cant create a world that works well without the need to kill thousands of people every year then its a very poor god indeed. One will quickly notice that the objector doesn't doubt that plate tectonics do all the necessary things I said they did. His objection boils down to simply, "Surely, God cold have done it some other way!" Really? Exactly what way would this person suggest? Does he have another model that he would like to offer? The primary issue I have with objections like this, and I see such objections all the time, both online and in personal conversations, is they aren't honest. The person asking isn't really looking for an answer; he is simply taking a contrary opinion to the evidence offered already. He was simply doing what is known as gainsaying, taking up a contrary position to discount my evidence instead of interacting with it. It means he ignored the evidence presented and complained that he didn't like the conclusions that followed. Gainsaying is not thinking. It's simply negating whatever you don't like. 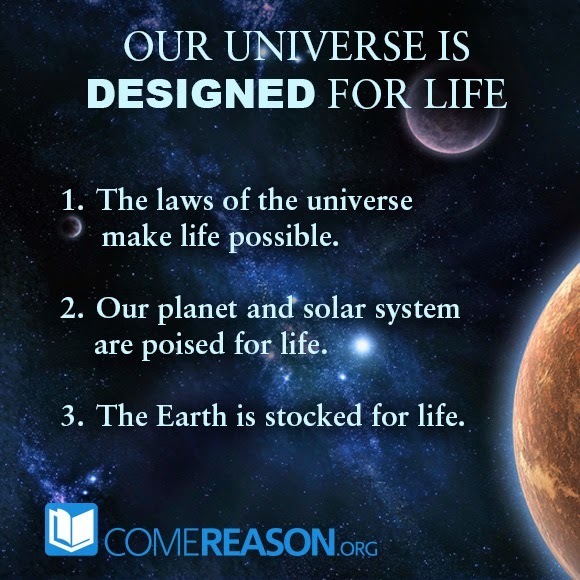 I find it interesting that certain atheists will fall into what I call the outrageous objection such as the one above ("if God can do anything, then I want the world to look like this…"). But if one upholds reason as a central virtue, then such tactics should strike him or her as repugnant. It proves that one isn't open to following the evidence wherever it leads. 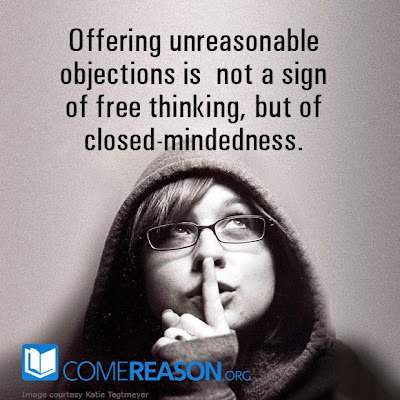 In fact, offering unreasonable objections isn't a sign of free-thinking, but of closed-mindedness. 1 Peter 3:15 doesn't say that the Christian has to answer every objection, no matter if it's a good or bad. We are commanded to defend the reality of the resurrected Jesus and the reasonableness of the Christian worldview. 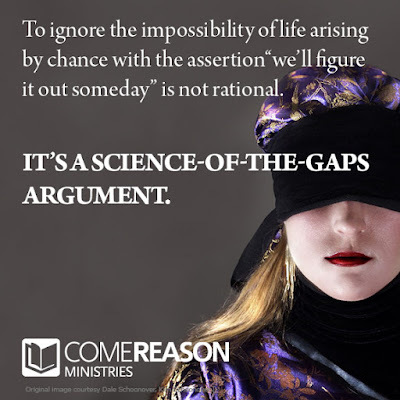 Because Christianity places a very high value on reason, it is appropriate to identify an unreasonable objection and demand that the objector offer something more concrete. By so doing, you demonstrate how much you value reason yourself. Imagine meeting a man who traveled to your town from a far country after his nation was destroyed by a war. All the records of civil ceremonies had been wiped out. In talking with this gentleman, you ask if he has a wife. He answers, "I don't know if I am currently married, but I know that I'm a bachelor!" You'd probably look at them with more than a bit of confusion. "How can that be?" you ask. He replies, "Well, I may or may not have gone through a marriage ceremony in my home country. However, there's no way to tell, since all the records are destroyed. However, you don't see me with a wife now, I like to date a lot, and I don't want to answer to a wife or have to check in every night. Therefore, I've chosen to be a bachelor, but I may be married, too." "But you don't understand," you reply. "The very concept of being a bachelor precludes you from being married. You are either married or you aren't, regardless of what records exist. Therefore, if you don't know whether you're married, then you don't know whether you're a bachelor. Conversely, if you know that you're a bachelor, you then know that you aren't married. " He replies, "No, I am a bachelor who is open to the fact that I may also be married." You try to persist. 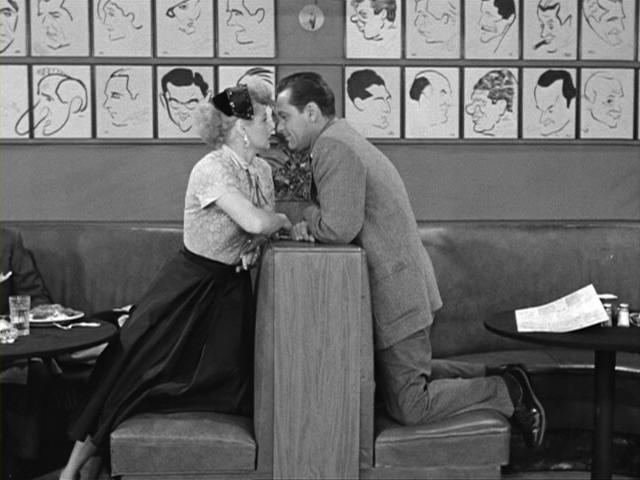 "The word 'bachelor' refers to whether or not you have committed to another person in marriage. That either happened or it didn't. Claiming that you may be a married bachelor is just as absurd as saying you may have found a triangle with only two sides! I can tell you right now that such a triangle doesn't exist and neither does a married bachelor. Your standing regarding marriage defines whether or not you're a bachelor." 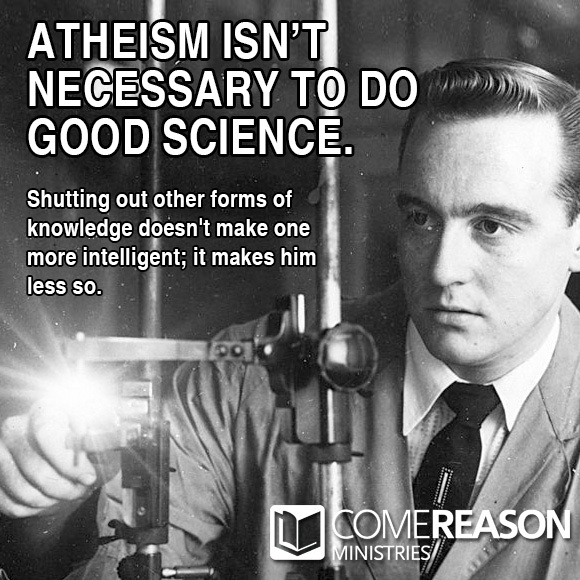 While the above conversation seems farcical, I have been running into a similar issue recently with people who describe themselves as "agnostic atheists." As a Christian, I describe myself as a theist. A theist is someone who believes in God. 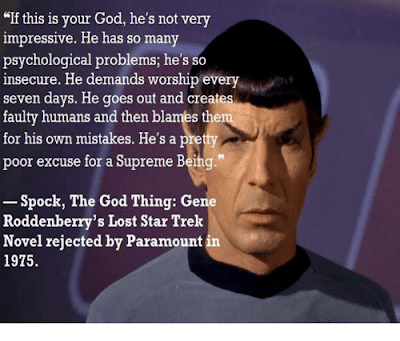 There are many types of theists (Jews, Muslims, Deists, etc.) They all fall within the category of someone who holds that God exists. Being a theist doesn't mean the person can argue for or even prove that God exists; it simply defines the fact that they believe God exists. On the other end of the spectrum are atheists. 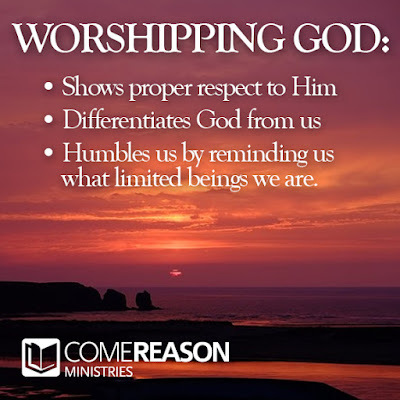 The word means "One who denies or disbelieves the existence of a God" and, according to the Oxford English Dictionary, came from combining the word theist (belief in God) with the negative prefix "a-" meaning without1. So, "without " + "belief in God" = atheist. Simple, right? But there is a third term that can be used to describe ones relation to a belief in God, and that's the word "agnostic." That word derives from the same "a-" (without) but the second word is gnosis, which is a Greek word for knowledge. So an agnostic means someone who is without knowledge on a topic or issue. If you don't know whether there's a God (or perhaps you don't care), you would be considered an agnostic. Because the word agnostic simply means one who doesn't know, it is used in contexts other than God's existence. For example, as a hockey fan, I am agnostic towards which teams will play in the Super Bowl this year. I am not rooting for one over another, and I don't have any knowledge as to which ones stand the better chance. If my wife asks whether she should buy chicken sausage or turkey sausage at the store, I would tell her "it doesn't matter at all; I'm agnostic on that issue." However, if I have even a slight leaning towards one choice over the other, then I am no longer agnostic. My indifference is gone and I do have a belief, albeit a small one. Notice that even the OED states that the term agnostic is to distinguish lack of knowledge as to whether God exist as opposed to atheist which says one disbelieves in God's existence. While I don't believe the OED is the end authority on this matter, philosophers have been using these terms in a similar way for many years as well. (The irony here is that Huxley coined the term agnostic by borrowing from Paul's speech about God in Acts 17:23)3. So as more and more atheists describe themselves as "agnostic atheists," they are simply trying to claim too much. Each of these terms describes a single state of belief: whether one believes in God, one doesn't believe in God, or one simply doesn't know whether God exists. It doesn't matter whether you can prove His existence or if you even care to. 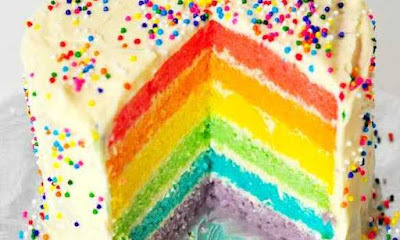 To be agnostic is to make a claim that distinguishes one from an atheist. 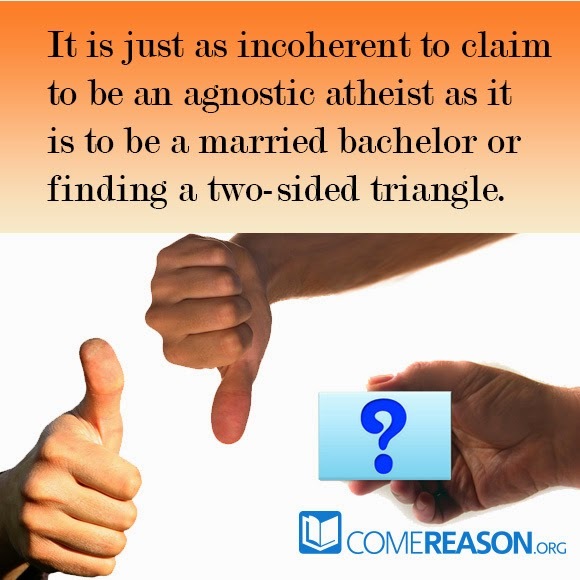 It is just as incoherent to claim to be an agnostic atheist as it is to be a married bachelor or finding a two-sided triangle. Such contradictions don't demonstrate a value for rationalism but quite the reverse. 1. "Atheist." Oxford English Dictionary. Oxford University Press, n.d. Web. 08 Dec. 2014. http://www.oed.com/view/Entry/12450. 2. "Agnostic." Oxford English Dictionary. Oxford University Press, n.d. Web. 08 Dec. 2014. http://www.oed.com/view/Entry/4073. 3. Smart, J. J. C. "Atheism and Agnosticism." Stanford University. Stanford University, 09 Mar. 2004. Web. 08 Dec. 2014. http://plato.stanford.edu/entries/atheism-agnosticism/. 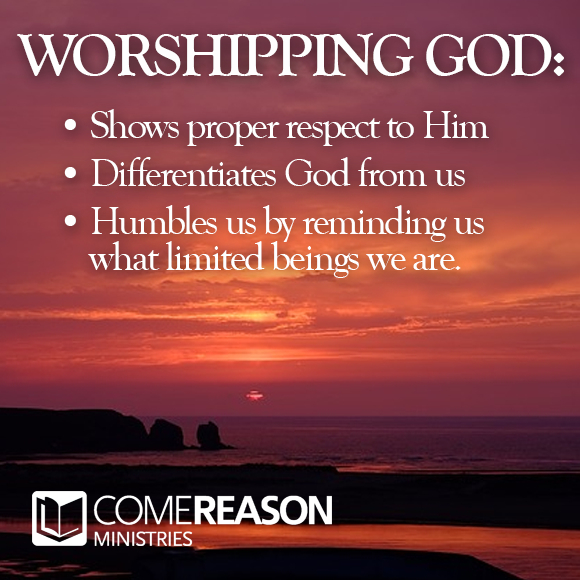 There are many ways that Christianity distinguishes itself from all other religious systems. Chief among these is the central doctrine that God became man to pay the penalty we could never pay and thus reconcile sinful man back to God. But there are many other points where Christian teachings are unique. One of these is just how much Christianity centers on thoughtful examination of belief. When we look through the teachings of scripture, it turns out that Christianity is very much a thinking-man's faith. In fact, in order to be a mature Christian, you are commanded to not just seek God emotionally, but intellectually as well. When asked by an expert in the Jewish law as to what commandment ranks above all others, Jesus quoted from Deuteronomy 6, which is the passage that Jews use to distinguish themselves from their pagan neighbors. Yet, Jesus added something to it. While verse five in the original reads "You shall love the Lord your God with all your heart and with all your soul and with all your might," Jesus added the phrase "and with all your mind" in Matthew 22:37. Jesus cared about the life of the mind. From His model, Christians took the life of the mind seriously. They weren't simply believe simply any tale told as part of their faith, but they were to test the claims coming to them. Paul challenges the Thessalonians to "test everything; hold fast what is good" (1 Thess. 5:21). In Revelation 2:2, Jesus commended the church at Ephesus because they "have tested those who call themselves apostles and are not, and found them to be false." Christianity became a very literate faith, relying on the teachings of the Apostles passed on through scripture. Paul exhorted Timothy to "do your best to present yourself to God as one approved, a worker who has no need to be ashamed, rightly handling the word of truth" (2 Tim 2:15-16). It's interesting that Paul tells Timothy he is going to have to work at discerning the meaning of the texts. In fact, Paul goes further in the next verse, warning against speculations when he cautions, "But avoid irreverent babble, for it will lead people into more and more ungodliness." 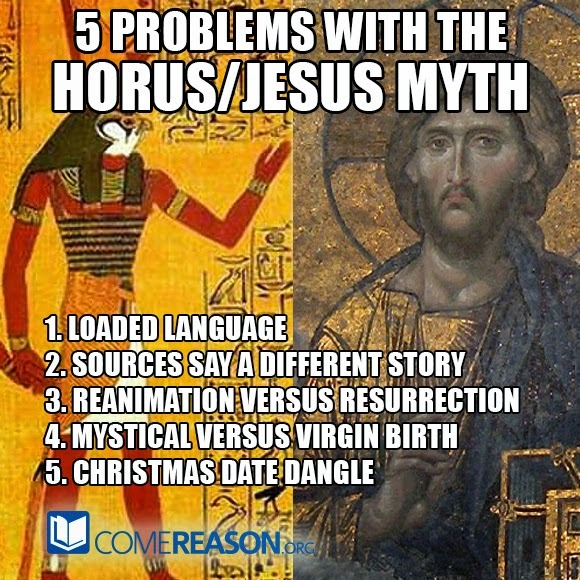 Beyond just seeking to be true to its own teachings, Christianity is a faith rooted in the facts of history. he concept of eyewitnesses plays a huge part in the Christian message. Like tells us that when he began to compile his account of Jesus' life he sought out "those who from the beginning were eyewitnesses" and that he himself "investigated everything carefully from the beginning" to provide "the exact truth." Paul, in 1 Corinthians 15, offers the testimony of not only himself, but over five hundred witnesses and says that if any of the people doubt his account, they could ask some of them, since most were still alive at that time. Peter tells the church "we did not follow cleverly devised myths when we made known to you the power and coming of our Lord Jesus Christ, but we were eyewitnesses of his majesty." Peter was even bolder than this when he preached before the Jews in Acts chapter 2. Here he stood in front of a hostile audience and he appealed to their own knowledge of the facts in order to convert them! He declares Jesus' story of ministry, death and resurrection and offers the phrase "as you yourselves know" as proof that he wasn't making up myths. Surely a hostile audience would not have stood for mistakes in his presentation of the facts. Christianity values intellectual excellence. Christians are command to study, to examine the claims brought before them, to not accept just any attempt by a person to pass along what they say is Christian doctrine, but to rightly divide the word of truth. 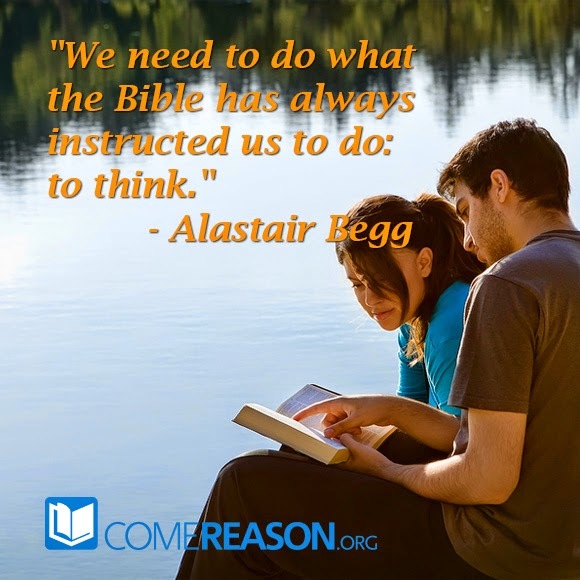 As Alastair Begg recently said "We need to do what the Bible has always instructed us to do: to think." It's time to reclaim the life of the mind for Christ. 1. Schmidt, Alvin J. How Christianity Changed the World: Formerly Titled Under the Influence. Grand Rapids, MI: Zondervan, 2004. Print. 172. 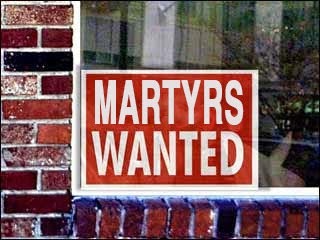 Were Early Christians Encouraged to Become Martyrs? A few weeks ago, I had responded to a meme (here and here) posted by atheist Michael Sherlock that claimed, "Christianity did not become a major religion by the quality of its truth, but by the quantity of its violence." Sherlock has attempted to reply to one of my arguments, but I think he falls short in numerous ways. Two primary areas where he gets both history and the argument wrong are 1) the concept that Christians somehow solicited people for martyrdom in order to attract followers and 2) the argument that since Christians were the recipients of violent acts, it somehow justifies his meme. I will deal with the first today and tackle the second tomorrow. Sherlock's dogged misunderstanding of the text shows in many ways (you may read the passage here in context). First, this wasn't written as an appeal to action. The letter is entitled "The Martyrdom of Polycarp" and was written to explain just that. It seeks to place martyrdom in its proper Christian context and labels martyrs of that past as heroes of the faith. This is as natural as any nation reporting stories of those who laid down their lives for an ideal. But if Sherlock would have read just a bit further, he would have seen that the letter explicitly argues against promoting martyrdom for the sake of martyrdom. Just 115 words later in chapter four it recounts that a Phrygian man named Quintus who sought voluntarily martyrdom, but when he saw the fate awaiting him he apostatized instead. The letter then admonishes the Christians, "Wherefore, brethren, we do not commend those who give themselves up [to suffering], seeing the Gospel does not teach so to do. "3 This statement is of course in direct contradiction to Sherlock's thesis. Secondly, it wasn't "more gullible Christians of the ante-Nicene period, were sent out amongst the wolves to be slaughtered for their leader's ambitions." Polycarp was the one martyred! He was the leader of the church of Smyrna and therefore it would be hard pressed for his martyrdom tom result in his own ambitions somehow being met. The charge is wholly without merit and Sherlock offers not a scrap of evidence to corroborate his conjecture. It is fabricated out of whole cloth, and I do think using the epithets "gullible," "leader's ambitions," and "credulous" is simply Sherlock exercising the fallacy of poisoning the well. Lastly, Sherlock seems to conflate his religions. Christianity in no way teaches that martyrdom provides any such favored status as a "free-ticket to a non-existent heaven." In fact, by Polycarp's own writings we see that he endorsed Paul's view of salvation as having already been received by the believer when he endorses Paul's epistle to the Philippians. In Chapter three, Paul spells out how no work of the flesh can gain one access to heaven, but only "that which comes through faith in Christ, the righteousness from God that depends on faith." Sherlock seems to think that Christian theology teaches something akin to Muslim beliefs, a position that is demonstrably false. Ignatius was writing in haste under difficult circumstances, and his language did not always convey precisely what he wanted to say. The language used would be surprising at any decade of the second century. 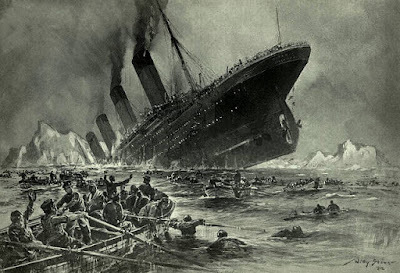 The confrontation with imminent martyrdom profoundly affected him, and the impression can be given that a proper willingness to die in union with Christ has passed into a neurotic will to die. So here we have Chadwick explaining how Ignatius' letter may be misunderstood because of his duress and that he would disapprove of voluntary martyrs because other Christian leaders such as Clement of Alexandria and Cyprian of Carthage had also explicitly disapproved of such, too! Add that to the admonition in The Martyrdom of Polycarp cited above and we have a consensus in the sources that Christian teachers disdained unprovoked voluntary martyrdom. These are Sherlock's own sources, and they argue specifically against his point. I'm certain that Christians being covered in pitch and lit on fire for to provide light to Nero's garden were not congratulating themselves. I'm certain that when Diocletian ordered the arrest and imprisonment of all bishops and priests, along with the confiscation or destruction of all church assets that these leaders did not benefit. Sherlock has taken small slivers of historical text and filled them with a 21st century new atheist viewpoint. There is real violence demonstrated in Sherlock's post; unfortunately, it is to history and to the texts themselves. Tomorrow, I will show how even if we grant Sherlock's first premise, it doesn't save his meme. 1. Sherlock, Michael. 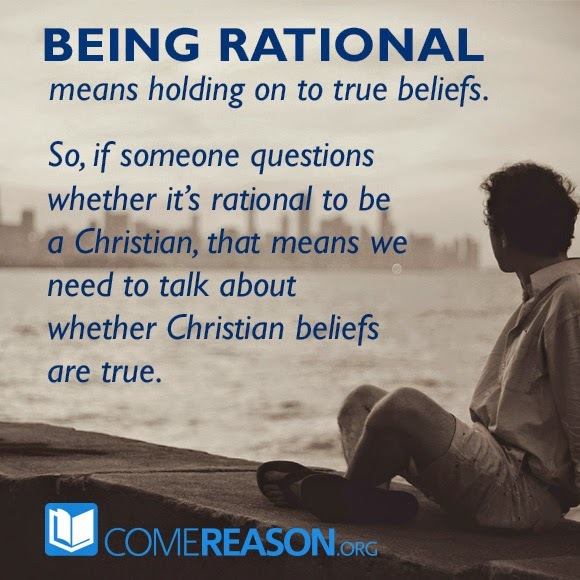 "Violent Christianity – Refuting the Christian Apologists at Come Reason Ministries." Web. 7-7-2014. http://michaelsherlockauthor.wordpress.com/2014/07/07/violent-christianity-refuting-the-christian-apologists-at-come-reason-org/ Accessed 7-8-2014. 3. "The Martyrdom of Polycarp." Translated by Alexander Roberts and James Donaldson. From Ante-Nicene Fathers, Vol. 1. Edited by Alexander Roberts, James Donaldson, and A. Cleveland Coxe. (Buffalo, NY: Christian Literature Publishing Co., 1885.) Revised and edited for New Advent by Kevin Knight. Web. http://www.newadvent.org/fathers/0102.htm. Accessed 7-8-2014. 5. Chadwick, Henry. The Church in Ancient Society: From Galilee to Gregory the Great. (Oxford: Oxford University Press, 2001).67.